February 2012 Cover: "Sgt. 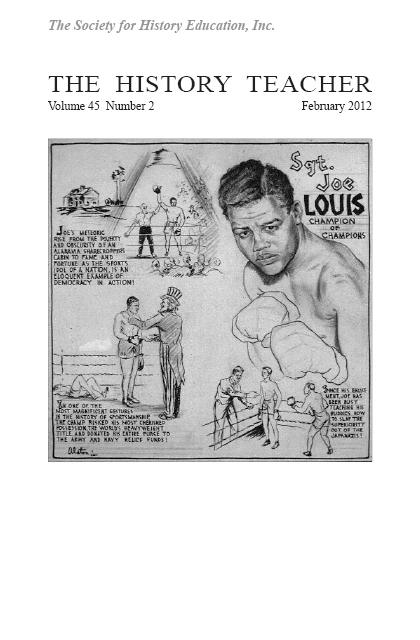 Joe Louis—Champion of Champions," Charles Henry Alston, 1943, NARA. Cover 2: "Benjamin Banneker—Astronomer-City Planner," Charles Henry Alston, 1943, NARA. "Lieut. Willa Brown—Aviatrix-Maker of Pilots," Charles Henry Alston, 1943, NARA. Cover 3: "Frederick Douglass—Statesman, Abolitionist, Champion of the People," Charles Henry Alston, 1943, NARA. "Dr. E. Franklin Frazier—Sociologist," Charles Henry Alston, 1943, NARA. 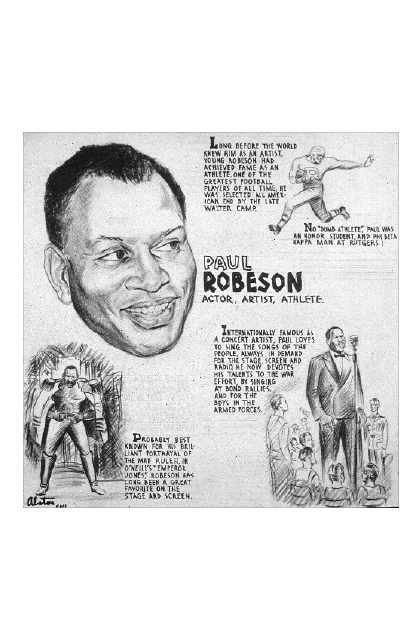 Cover 4: "Paul Robeson—Actor, Artist, Athlete," Charles Henry Alston, 1943, NARA. 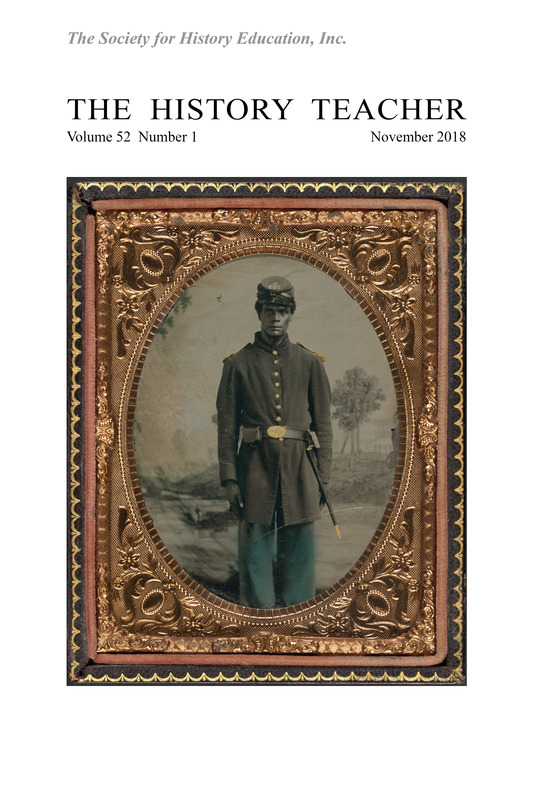 This issue is adorned with selections from the U.S. National Archives collection, "Artworks and Mockups for Cartoons Promoting the War Effort and Original Sketches by Charles Alston," ca. 1942-ca. 1945. 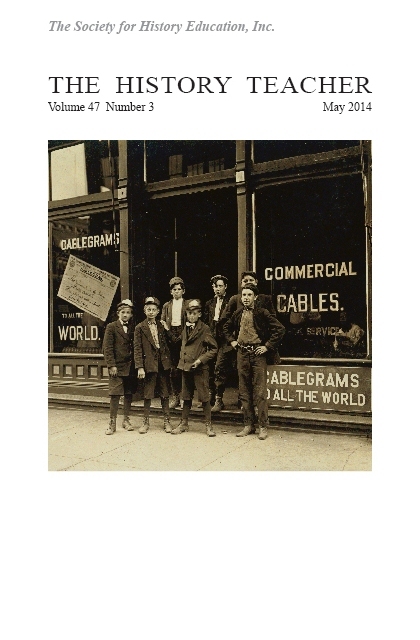 Among the more than 200 images in the collection (available at Wikimedia Commons at https://commons.wikimedia.org/wiki/Category:Charles_Alston), the selections included here celebrate African American figures and their contributions to history. 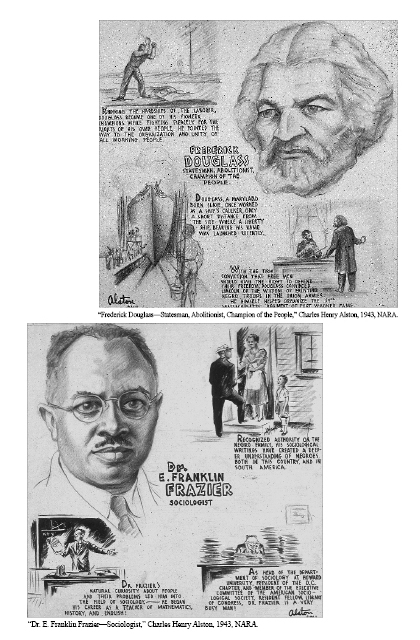 Commissioned by the U.S. government, these drawings were created by Charles Henry Alston, whose photograph is included in the Contributors section of this issue. 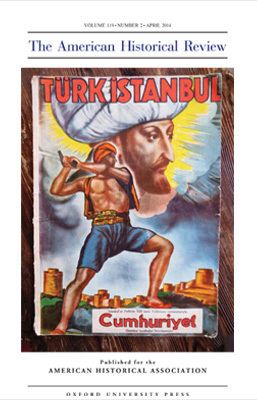 This issue also includes a special focus on using cartoons, comic books, graphic novels, and other illustrated sources to teach both historical content and historical thinking, featuring Alicia C. Decker and Mauricio Castro's "Teaching History with Comic Books: A Case Study of Violence, War, and the Graphic Novel" and Alyson E. King's "Cartooning History: Canada’s Stories in Graphic Novels," beginning on page 169 and page 189, respectively. Allison L. Baer (Ph.D., Kent State University) is a former middle school teacher and is currently an Associate Professor of Reading at the University or Findlay, where she uses a blend of informational and fiction texts in all of her teaching. Her research interests include content area reading and supporting the needs of those who struggle with reading comprehension. Mauricio Castro was born in San Jose, Costa Rica. He received his B.A. in History from Vassar College in 2003. He has since received an M.A. in American History from Purdue University and is currently a Ph.D. candidate at that same university. His dissertationfocuses on the urban development of Miami in the decades following the arrival of the first Cuban exiles in 1959. His professional interests include political economy, gender, nationalism, and popular culture. Dominique Daniel holds a doctorate in American Studies from the University of Paris 7 (France) and a Master of Science of Information from the University of Michigan. She is currently Assistant Professor and Instruction Librarian at Oakland University. She has published books and articles about U.S. immigration policy and about the history of libraries and archives. She is actively involved in the Library History Round Table of the American Library Association. Alicia C. Decker is an Assistant Professor of History and Women's Studies at Purdue University. She received her Ph.D. in Women's Studies from Emory University in 2007. Her research and teaching interests include post-colonial African history; gender and militarization; armed conflict and forced migration; oral history; and global feminisms. She has recently published essays about teaching in Perspectives on History and Narrating War and Peace in Africa, edited by Toyin Falola and Hetty ter Haar. Victoria B. Fantozzi is an Assistant Professor in the Elementary and Early Childhood Education Department at William Paterson University in New Jersey. Her research interests are focused on teacher education, particularly on how the epistemological viewpoints and individual meaning making of both students and teachers affect teacher education. 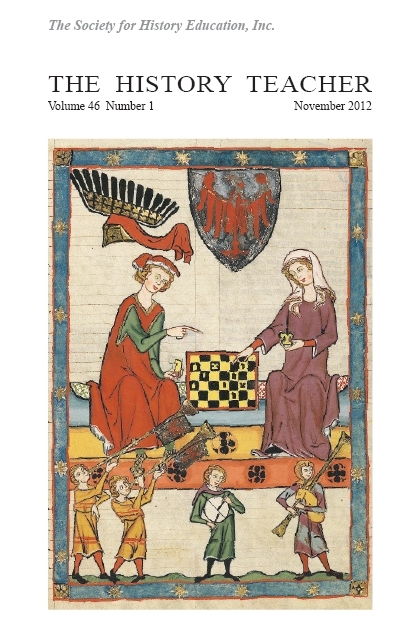 Alexander Karn received his Ph.D. in History from the Claremont Graduate University in 2006. 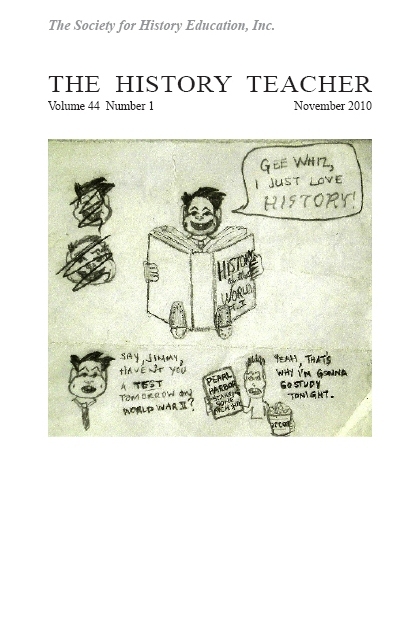 He is currently an Assistant Professor of History at Colgate University. He is the co-editor (with Elazar Barkan) of Taking Wrongs Seriously: Apologies and Reconciliation (Stanford University Press, 2006). His current work focuses on Holocaust commissions and the possibilities for historical reconciliation based on negotiated approaches to the past. Alyson E. King earned her Ph.D. in the History of Education at the University of Toronto. She is a Lecturer in the faculty of Social Science and Humanities at the University of Ontario Institute of Technology (Oshawa, Canada). Her research interests include historical graphic novels, children's virtual worlds, and the history of education. She is currently chair of the Ontario Women's History Network. 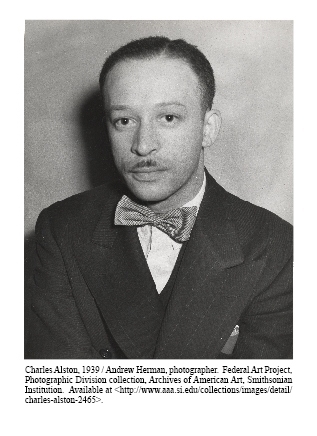 Charles Henry Alston (1907-1977) earned his Bachelor of Arts degree from Columbia University in 1929 and his Master of Arts degree from Columbia's Teachers College in 1931. 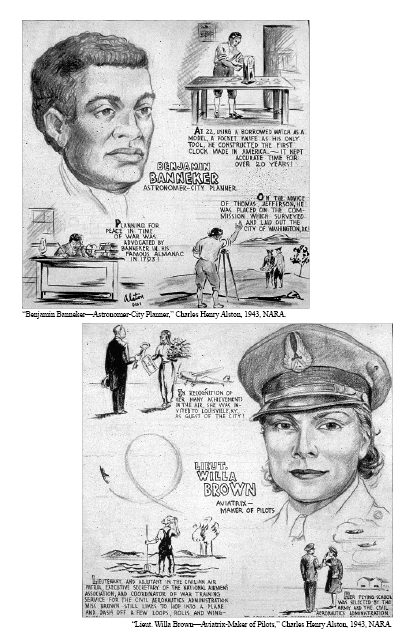 Beyond the cartoons produced for the U.S. Office of War Information during World War II, Alston's artistic creations included numerous paintings, sculptures, and murals.